Here at Opace we do our very best to bring you unique, exciting and fresh website content to enjoy. We don’t have many rules but we believe strongly that you shouldn’t take without asking! Here at Opace we do our very best to bring you unique, exciting and fresh website content to enjoy. We don’t have many rules, but we believe strongly that you shouldn’t take without asking! Opace holds the copyright to https://www.opace.co.uk and all of its contents i.e. text, images, graphics, audio material, computer coding, unless otherwise stated. We ask that you do not distribute or reproduce all or part of our website, as this will be a breach of our copyright. Here at Opace we do our very best to bring you unique, exciting and fresh website content to enjoy. We don’t have many rules, but we believe strongly that you shouldn’t take without asking! Opace gives web users permission to print, download and save a single copy of https://www.opace.co.uk for personal and non-commercial use (see we’re not that mean). We are even happy to grant you permission to send our content to a third-party for personal use. Just make sure they know that it’s come from Opace! Web users wanting to copy and share our text, images, videos or any other content on the Opace website can do so for the purpose of recommendation. Our only ask is that you create a hyperlink back to the Opace page from which you have shared the content. We’ve got no problem with you spreading the word about our website! The automated collection of data from this website is prohibited, this includes the use of data mining techniques and the use of data collection tools. What we don’t allow users to do is copy and distribute the Opace website and its content for commercial purposes. Any attempts to adapt, edit, change, distribute or publish our content will be seen as a breach of our copyright. If you would like to use our content for commercial purposes, we ask that you get in touch with our team and see what they have to say. If we have reason to believe that a third-party sharing our content has value to our company or customers, then we may be willing to grant access to the Opace website. In order to get permission to use our website or content commercially, you will need to write to us (address below) or send an email to [email protected]. Please state the content you are interested in using, along with how you intend to use it and where. The more detail you give, the more likely we are to consider your request! The Opace team will consider each request for permission on an individual basis, however we do reserve the right to deny requests that we do not believe are beneficial to our company or customers. 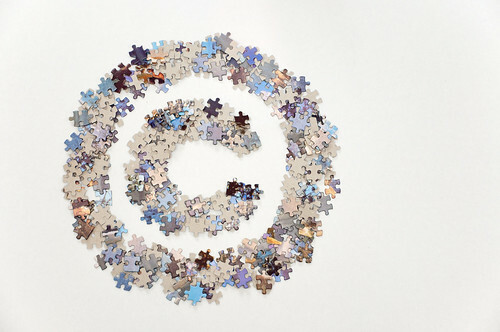 We’re pretty chilled out people here at Opace but we do take copyright law seriously. Therefore, if it is discovered that our website or content is being used without permission, we may be willing to initiate legal proceedings. First, we’ll give you the benefit of the doubt – after all, you may not have taken our content maliciously! We’ll simply get in touch and give you the option to remove our copyrighted content from your website or publication. Providing you do this within a reasonable time frame, they’ll be no problem and we can all forget it ever happened. If, however, our request is ignored, or you fail to take action, we will be within our rights to start legal proceedings for monetary damages. Opace will also apply to the courts for an injunction to prevent you from continuing to use our website and its content. Has someone stolen our content? We do our best to keep our content protected (hence the need for a copyright notice) however there’s only so much you can do alone. We therefore ask that if you spot our content on another website, you kindly report it by email [email protected] to the Opace team for investigation. Has your copyright been breached? We’ve said it before and we’ll say it again – Opace takes copyright law seriously and therefore makes every effort to ensure that the content on this website is 100% unique. If, however, you believe we have infringed your copyright, we ask that you get in touch with us via email [email protected] or phone and we will then ensure the matter is resolved immediately. Thanks for taking the time to read our copyright notice. If you have any questions, please don’t hesitate to get in touch.